Whether in competition, at a youth tournament or in practice, Judo Shiai will quickly become your best companion on tatami. 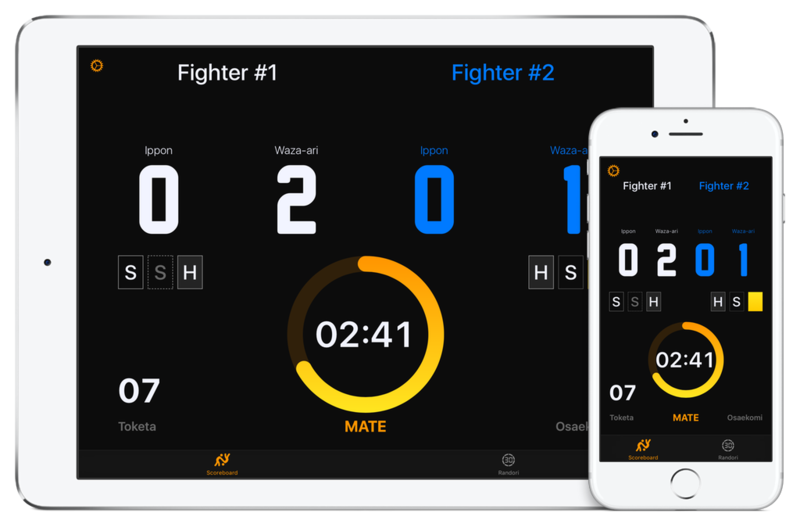 Enter the name and color of the fighters, adjust the fight or osaekomi durations and select penalty rules. Enjoy a widescreen display by connecting your iPhone or iPad to your TV directly via AirPlay or via cable. Use your device at the officiating table while offering the audience a large and clear scoreboard thanks to its optimized display option on external screen. 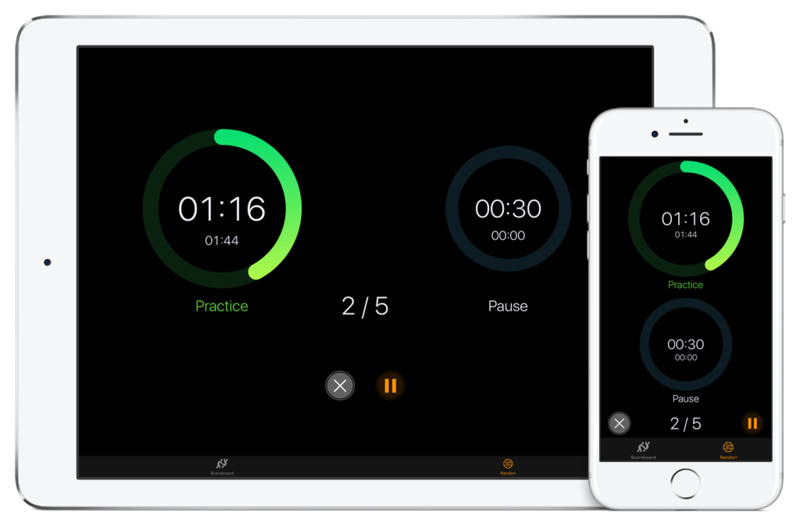 Alternate between fight and rest periods during your practices by defining the number of intervals as well as the exercise and break durations. Set the match duration. Start the fight on hajime. Pause it on mate. Launch the Golden Score in case of equality at the end of the initial time. Award yuko, waza-ari and ippon. The score is automatically adjusted on shido, hansoku make or osaekomi. Display team scores during team competitions. Choose amongst 4 display themes: classic, light, dark or IJF. Enable sound effects to make the bell sound at the end of a fight. Enter the name of both judoka. Select their judogi or obi color. In case of error or referee correction, cancel the last action and resume the fight. Choose the number of intervals. Set the fight and break durations. Start your practice.